LEADING Ayrshire-based creative marketing agency Paligap is pleased to announce that it has signed a deal to become the official Ayr United home and away shirt sponsors for the season 2008-2009. Paligap managing director Stephen Cosh said: “We are delighted to team up with Ayr United to become the 2008/2009 season shirt sponsor. “Although Paligap has grown to become a national marketing agency, our roots remain firmly in Ayr, and we are proud to support our local club. I believe the agreement offers both organisations many exciting benefits, and we look forward to a fruitful partnership in the coming season. “Over the past few years Paligap has actively engaged in sponsoring and promoting local initiatives and charities, and we were keen to be involved with Ayr United Football Club as we feel strongly that football plays an important role in the local community. 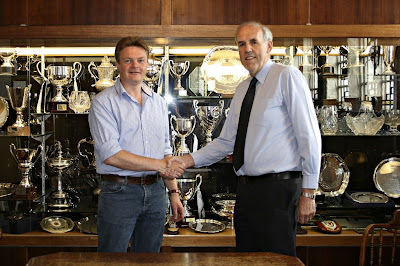 Ayr United Football Club commercial director Hugh Cameron: said: “Ayr United are pleased to announce that Paligap will be our shirt sponsors for 2008/09. 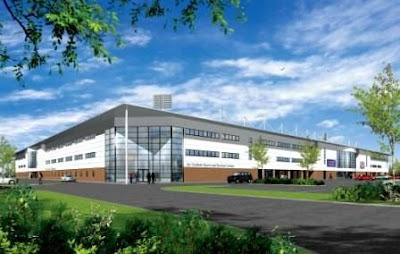 The club is delighted to have attracted such an outstanding and successful company, who combine a strong local presence here in Ayr and South Ayrshire while developing their business nationally. 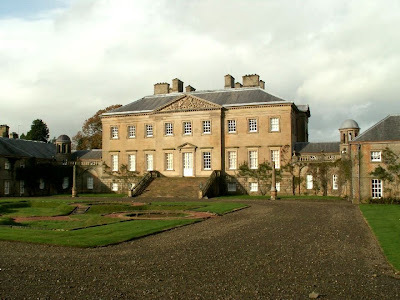 AND creative marketing agency Paligap are also sponsoring an important habitat survey at Dumfries House (pictured below), which will help protect and support the local environment. The Dumfries House Estate comprises a wide range of different natural habitats providing rich biodiversity and abundant wildlife. With The Great Steward of Scotland’s Dumfries House Trust’s ethos and responsibility to these habitats in mind, a detailed and comprehensive survey is being undertaken to identify the key habitats and species on the Estate. With natural habitat including productive farmland, meadows, woodland and watercourses, a number of rare and endangered species are thought to be prominent. Mike Schafer is chief executive of The Great Steward of Scotland's Dumfries House Trust. He said: “This survey will enable the management of the Estate to address and improve the important habitats, preserving the species and benefiting the biodiversity to ensure maximum environmental benefit, not only to the estate but to the surrounding area. There are currently 278 Ayrshire business stories permanently archived on this site. To locate those of most interest to you, please use the site search facility in the top left hand corner of this page. Type your search term in the white box, then click “SEARCH BLOG”.